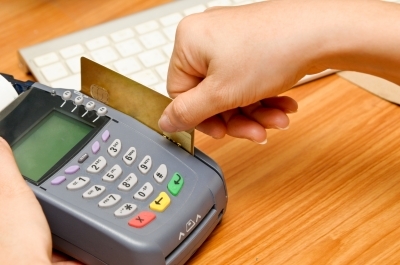 Credit cards are used for cashless payments and for many online purchases. However, it takes great responsibility and discipline to own one as reckless use can lead to financial catastrophe. Using a credit card has its advantages and drawbacks. Before even applying for one, it’s best to weigh its pros and cons to see if this is something that you need. If you decide on getting one or you already own one, there are various things that you can do to avoid overspending or going beyond your limit. This is one of the best benefits of owning a credit card. In case you don’t have enough cash saved for the rainy days, you can use it for emergency purposes like hospitalization or unexpected bills. You’ll never know when these things would happen and your credit card could be your savior. You are usually given a month to pay for the amount you spent using the credit card. No interest rate is charged if you pay on time. You have received your paycheck by then so you’ll have the money to pay for your due. You earn points when you use your credit card, which you can then use for various rewards offered like gasoline or shopping discount. But remember, you must be responsible in using your card. Spending just to earn rewards is a “No No”. As long as you are responsible in using your credit card, it can help you get approved for your future loans like car and house loans. One of the things that banks and financial companies consider when giving out loans is the credit history of the person. If you don’t have a credit history that they could check, there is a higher risk that your loan may not be approved. The interest rate of credit cards varies from one company to another. If you don’t pay your bill on time, you’ll be charged for the interest. If you weren’t able to pay on the due date, there’s also the late fee. In the Pros section, it was mentioned that it could help build a good credit history, which you would need for future loans. Again, that is if you are a responsible user. If you do not pay your bills on time and you keep on going over your limit, this could give you a bad credit score. When you only have cash, you can easily keep track on the amount of money that you can spend. Say you go to the mall and you see a gadget that you like, but not necessarily need, you will not be tempted to purchase it if you don’t have enough cash for it. But if you have a credit card, you will be drawn to buying that gadget since it can be done with just one swipe. If you don’t have control, you may end up overspending. There are things that you can do to use your credit card responsibly. This would be a win-win situation for you as you would have something to use in emergency situations and it could help build a good credit history without accumulating debt. Self control or discipline is the most important thing that you should have if you own a credit card. You could be in trouble if you’re an impulse buyer. Think before you swipe. Ask yourself if the purchase is necessary or not. Make a full payment on or before your due date each month. With this, you don’t have to pay for the interest and late payment. If for some reason you can’t pay the full amount, try to pay the balance as soon as you can, to avoid the interest from growing. Like other systems, credit cards are not completely error free. This is why it is important that you always check the monthly statement sent by your credit card provider. It’s also recommended that you keep your transaction receipts for verification. Report right away if you find any inaccuracy on the charges. Owning a credit card can work to your advantage with responsible use. Remember, you still have to pay for the amount you spent so don’t buy something you can’t afford.